This rustic locals spot that’s tucked away on a wooded lot on the Manatee River in Ellenton is the place to be! Woody’s offers a 300+ seated dining space that includes tiki hut tables right on the water, indoor dining and outside umbrella covered patio seating. People travel by boat, car and motorcycle to enjoy the live music, the awesome drinks made at one of their 3 bars and the great food that’s made to order! Woody’s is always crowded so if you can’t find a place to park, take advantage of their FREE valet service. We’ve been coming to Woody’s for years and is just a short 15-30 drive north from Sarasota. Woody’s is nothing fancy, but is a great place to spend time hanging with friends. The food is simple and delicious. 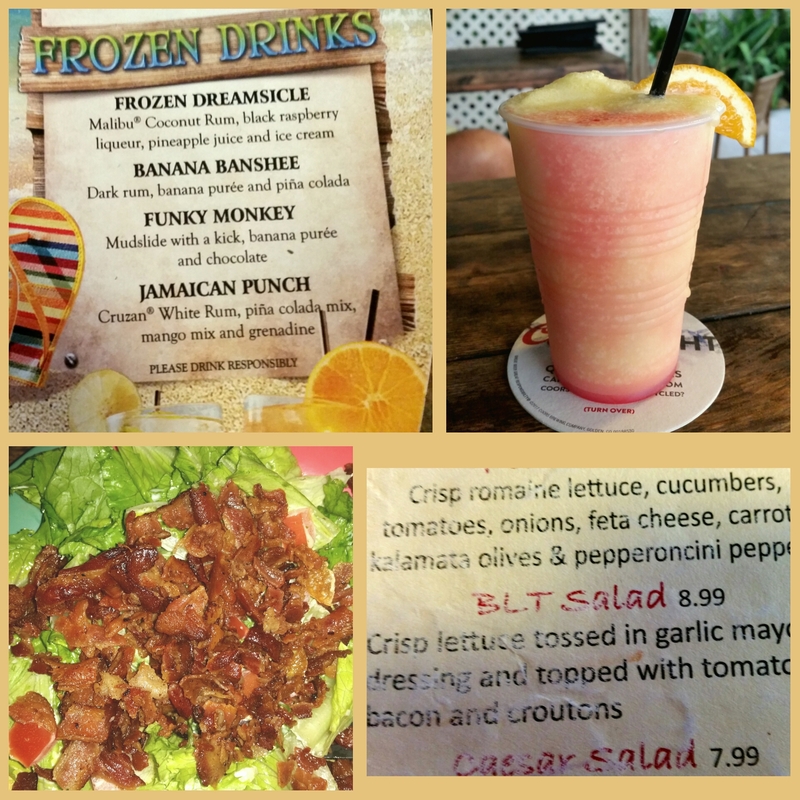 I love the grouper bites, the “hot” peel and eat shrimp with ramoulade sauce, the steak and cheese sandwich, the chicken and cheese sandwich, the burgers, the onion rings and my all time favorite… The BLT Salad with lettuce, tomato, crispy bacon, croutons and garlic mayo dressing! It’s so good!!! From the bar my favorite drink is the Jamaica Punch which is a frozen rum drink that is a mixture of Pina Colada and Mango Daiquiri that is perfect for our hot Florida summertime days! If you’ve never been to Woody’s, it’s worth the drive!